Anyone notice my new header photo? Apparently I’m the last person in the free world to figure out how to take a panorama photo on an iPhone! How cute and endearing! You can stop guessing about the location; I spent a lovely 4th of July weekend with my family in Malibu. It was perfect because I’m one of those incredibly lucky people that has family members who would be cool enough to hang out with even if we weren’t related. I’m pretty sure this is a rarity. In all seriousness, the women in my extended family– on both sides– are really cool, and have fantastic style. Each of them has such a unique and inimitable aesthetic that when I’m around them, I find myself feeling a lot like I did when I was young and clueless and still wearing Talbots. My outfits are like stirrup leggings and Keds compared to their effortless, eclectic chic. 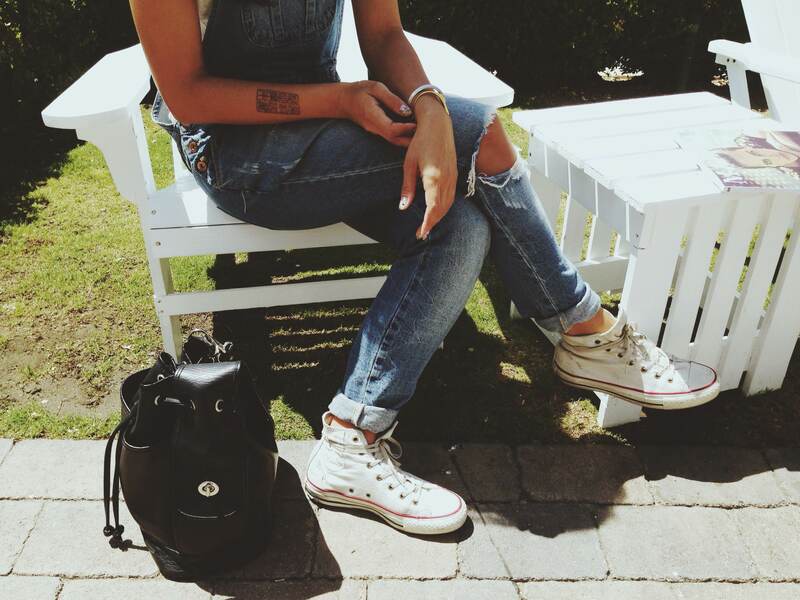 On Dana: J Brand tee, BB Dakota overalls, Converse shoes, vintage Coach bucket bag and bracelet, Madewell bracelet.